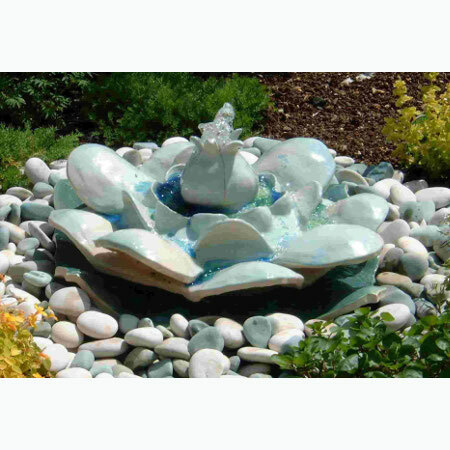 A stoneware water feature for my garden, one of a pair, sculpted in the form of water liles. 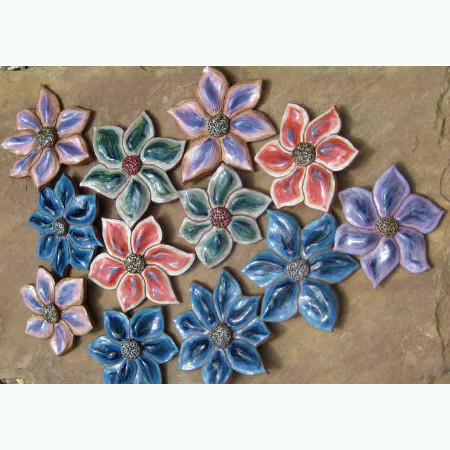 Hand built earthenware wall plaques, sculpted in the form of clematis flowers - to hang indoors or outdoors. 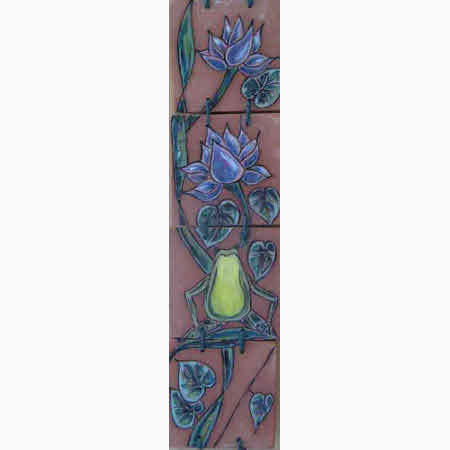 Who needs green fingers? 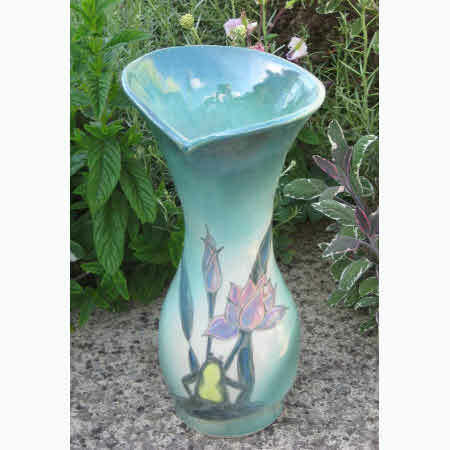 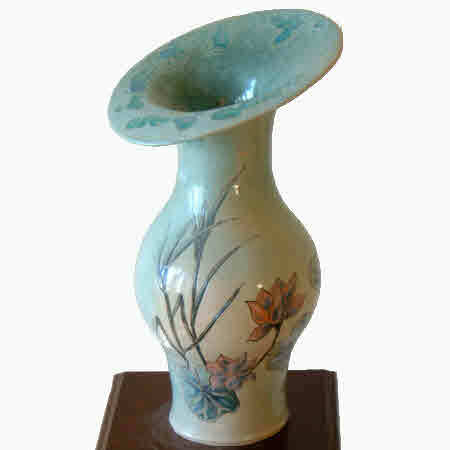 Grow a ceramic flower instead! 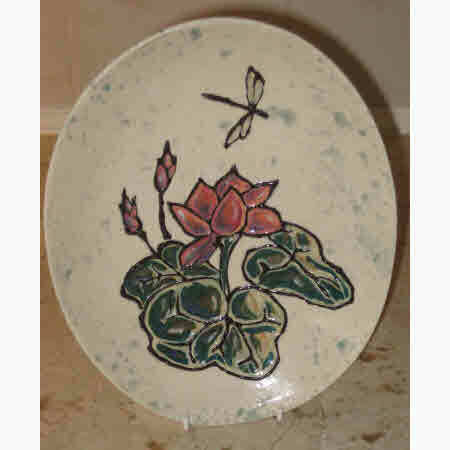 "Bowl decorated with trailing slip"
"Frog and waterlily wall tile plaque"
An earthenware tiled panel wall hanging. 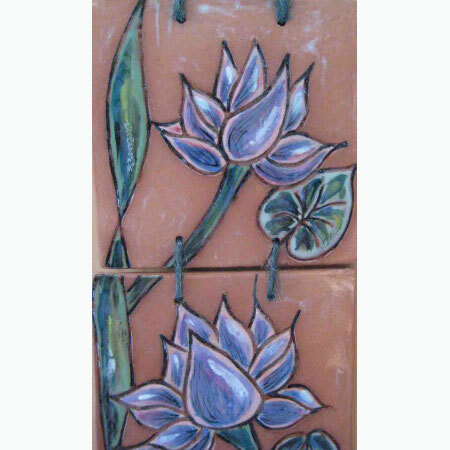 The design is etched freehand onto the clay while it is still soft. 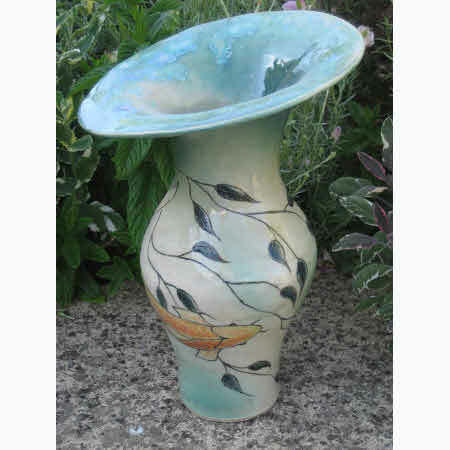 It is then decorated with underglaze colours, and the coloured areas are glazed, leaving the red clay unglazed. 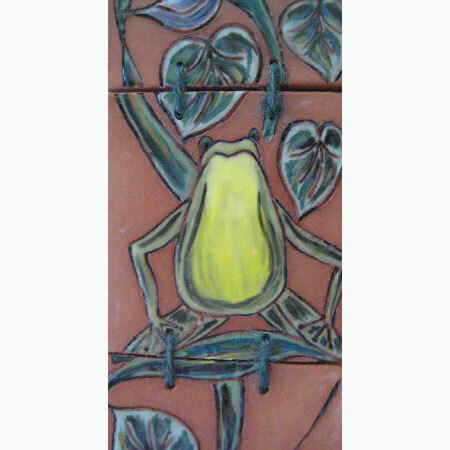 "Detail of frog wall tile plaque"